What is Attention Deficit Hyperactivity Disorder (ADHD) ? We believe, ADHD is not a disability but a different ability that need to be channelized towards productive goals. It is a psychiatric entity that is characterised by inability to remain attentive, extremely overactive and somewhat impulsive i.e they act first thinks later. ADHD can occur in people of any intellectual ability, If not timely intervened, of course it can lead to poor IQ development due to failure in learning. People with ADHD may also have additional problems, such as sleep and anxiety disorders. Symptoms of ADHD tend to be first noticed by parents by 3 to 5 years of age, but they often tend to ignore or underestimate it. Symptoms become more noticeable & problematic when a child's circumstances change, such as when they start school. Most cases are diagnosed at the ages of 6 and 12.
the condition at a young age will continue to experience problems. The symptoms of ADHD in children and teenagers are well defined, and they are usually noticeable before the age of six. They occur in more than one situation, such as at home and at school. Many children go through phases where they are restless or inattentive. This is often completely normal and does not necessarily mean they have ADHD. However, when the symptoms are quite disruptive, you should consider raising your concerns by consulting your psychiatrist at earliest. If your problems are recent and did not occur regularly in the past, you are not considered as having ADHD. This is because it is currently not thought that ADHD can develop for the first time in adults. ADHD tends to run in families and, in most cases, it is thought the genes you inherit from your parents are a significant factor in developing the condition. Research shows that both parents and siblings of a child with ADHD are four to five times more likely to have ADHD themselves. However, the way ADHD is inherited is likely to be complex and isn't thought to be related to a single genetic fault. Research has identified a number of possible differences in the brains of people with ADHD compared to those who don't have the condition, although the exact significance of these is not clear. For example, studies involving brain imaging scans have suggested that certain areas of the brain may be smaller in people with ADHD, whereas other areas may be larger. Research has also shown that the brain may take an average of two to three years longer to mature in children with ADHD, compared to children who don't have the condition. Other studies have suggested that people with ADHD may have an imbalance in the level of chemicals in the brain called neurotransmitters, or that these chemicals may not work properly. * However, the evidence for many of these factors is inconclusive, and more research is needed to determine if they do in fact contribute to ADHD. ADHD is the most common behavioral disorder in the age group of 3 to 10 years. It's unknown exactly how many people have the condition, but most estimates suggest if affects around 2-5% of school-aged children and young people. Childhood ADHD is more commonly diagnosed in boys than girls. Girls with ADHD often have a form of the condition where the main symptoms relate to problems with attention rather than hyperactivity, which can cause less noticeable symptoms. It is therefore possible that ADHD could be under diagnosed in girls, and could be more common than previously thought. How ADHD is treated ? There is no cure for attention deficit hyperactivity disorder (ADHD), but treatment can help relieve the symptoms and make the condition much less of a problem in day-to-day life. ADHD can be treated using medication or therapy, but a combination of both is often the best way to treat it. Treatment will usually be arranged by a specialist, such as psychiatrist. These medications are not a permanent cure for ADHD, but they can help someone with the condition concentrate better, be less impulsive, feel calmer, and learn and practice new skills. Some medications need to be taken every day, but some can be taken just on school days. Treatment breaks are occasionally recommended, to assess whether the medication is still needed. Initially these medication are prescribed at low doses which may then be gradually increased. 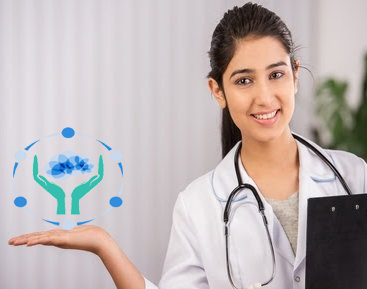 You or your child will need to see your psychiatrist for regular check-ups, to ensure the treatment is working effectively and to check for signs of any side effects or problems.Your specialist will discuss how long you should take your treatment but, in many cases, treatment is continued for as long as it is helping. Methylphenidate is the most commonly used medication for ADHD. It belongs to a group of medicines called stimulants that work by increasing activity in the brain, particularly in areas that play a part in controlling attention and behavior. Methylphenidate is commonly used and quite effective in children with ADHD. Although methylphenidate is not licensed for use in adults due to abuse potential, it may be taken under close supervision from your specialist. The medication can be taken as either immediate-release tablets (small doses taken two to three times a day), or as modified-release tablets (taken once a day in the morning, and they release the dose throughout the day). Dexamfetamine is also a stimulant medication that works in a similar way to methylphenidate, by stimulating areas of the brain that play a part in controlling attention and behaviour. Dexamfetamine can be used by teenagers and children with ADHD over the age of three. Although it is not licensed for use in adults, it may be taken under close supervision from your psychiatrist. Dexamfetamine is usually taken as a tablet once or twice a day, although an oral solution is also available. Lisdexamfetamine is a similar medication to dexamfetamine, and works in the same way. It can be used by children with ADHD over the age of six if treatment with methylphenidate hasn't helped. You may continue to take it into adulthood if your doctor thinks you are benefitting from treatment. Lisdexamfetamine comes in capsule form, which you or your child usually take once a day. * Atomoxetine has also been linked to some more serious side effects that it's important to look out for, including suicidal thoughts and liver damage. If either you or your child begin to feel depressed or suicidal while taking this medication, speak to your doctor. Psychoeducation means you or your child will be encouraged to discuss ADHD and how it affects you. It can help children, teenagers and adults make sense of being diagnosed with ADHD, and can help you to cope and live with the condition. Behaviour therapy provides support for carers of children with ADHD, and may involve teachers as well as parents. Behaviour therapy usually involves behaviour management, which uses a system of rewards to encourage your child to try to control their ADHD. If your child has ADHD, you can identify types of behaviour you want to encourage, such as sitting at the table to eat. Your child is then given some sort of small reward for good behaviour, and removal of a privilege for poor behaviour. For teachers, behaviour management involves learning how to plan and structure activities, and to praise and encourage children for even very small amounts of progress. These programmes are usually arranged in groups and can last several weeks. They aim to teach parents and carers about behaviour management, while increasing your confidence in your ability to help your child, as well as improving your relationship. Cognitive behavioural therapy (CBT) is a talking therapy that can help you manage your problems by changing the way you think and behave. Although very useful in adult with ADHD, a CBT therapist would try and change how your child feels about a situation, which would in turn potentially change their behaviour. CBT can be carried out with a therapist individually or in a group. There are other ways of treating ADHD that some people with the condition find helpful, such as cutting out certain foods and taking supplements. However, there is no strong evidence these work, and they should not be attempted without medical advice. People with ADHD should eat a healthy, balanced diet. Do not cut out foods without medical advice. Some people may notice a link between types of food and worsening ADHD symptoms. For example, sugar, food colourings and additives, and caffeine are often blamed for aggravating hyperactivity, and some people believe they have intolerance to wheat or dairy products, which may add to their symptoms. If this is the case, keep a diary of what you eat and drink, and what behavior this causes. Discuss this with your psychiatrist, who may refer you to a dietitian (a healthcare professional who specializes in nutrition). Do not change your (or your child's) diet without medical advice. Some studies have suggested that supplements of omega-3 and omega-6 fatty acids may be beneficial in people with ADHD, although the evidence supporting this is very limited. It's advisable to talk to your psychiatrist before using any supplements, because some can react unpredictably with medication or make it less effective. You should also remember that some supplements should not be taken long term, as they can reach dangerous levels in your body.